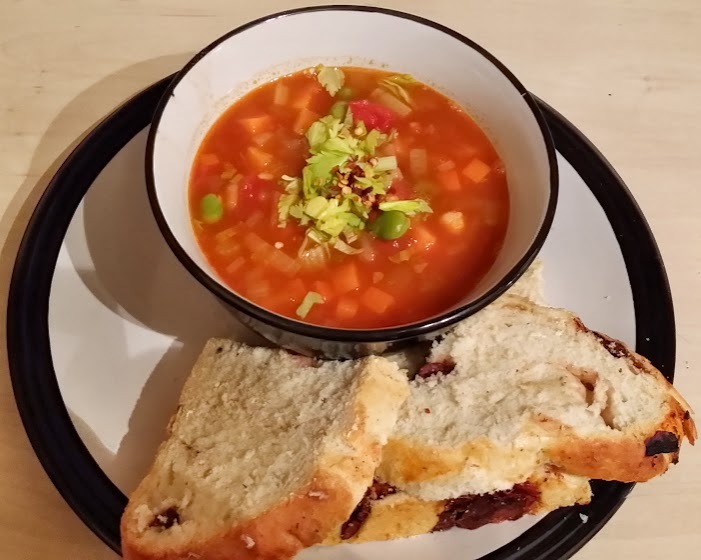 Carrying on with the health kick I made a soup that definitely hits the mark on all counts, a tasty filling and healthy soup that weighs in at a lowly 150kcal (approx) per portion! Try it and you won’t be disappointed. Add the onion, celery and the carrot. Cook on a low to medium heat for 5-10 minutes until the onions are soft. Add the cumin, garlic, harissa and tomato puree and cook for a further 1 – 2 minutes until the aromas are released. Turn up the heat, then add the stock, tomatoes and chickpeas, plus a good grind of black pepper. Cook for a further 2 mins. Season to taste, then top with a sprinkling of lemon zest.